Auburn Lakes is a new community near The Woodlands. Matt Powers Custom Homes & Renovations is a select builder available to design and build your home in this new community location. Offering new north Houston homes in a wooded golf course community, Auburn Lakes often called – The Closer Woods – is now closer than ever. Carlton Woods is country club lifestyle refined. While others might be content to follow the lead of the ordinary, you have always looked above and beyond to something better. This private golf community is built around world-class Jack Nicklaus Signature and Tom Fazio Championship golf courses, providing the backdrop for The Club at Carlton Woods, a pre-eminent social community with clubhouses, spa, pool and more. Matt Powers Custom Homes is an approved custom builder in both Carlton Woods and Carlton Woods Creekside. Crestwood and Glen Cove residents enjoy a world-class 1508-acre public park next door that features Houston’s first golf course, a soft jogging trail along with hiking and biking trails, picnic grounds, ball fields, tennis courts, multiple children’s playgrounds, a public swimming pool, an arboretum and more. Our neighborhood is in a great location, only a few miles from downtown Houston and has easy access to major thoroughfares. In 1917, the United States leased a large tract of land from the well-known Hogg family, and it became Camp Logan, a sophisticated training camp for U.S. Army soldiers. Camp Logan operated as a military establishment and a charity hospital for several years before the sons of Texas Governor James Hogg regained control of the land. In 1925, the Hogg family conveyed to the City of Houston much of this property for the development of Memorial Park as a dedication to the memory of World War I soldiers. Lago Woods is a new community in The Woodlands where you’ll be overcome by a sense of security past the gated entry, calmed by the views and fresh air of the lake, and excited about owning your own ‘private resort’ within The Woodlands, Texas. Conveniently located within a short jaunt to Town Center, Matt Powers Custom Homes & Renovations has 7 exclusive lots available to design and build your home. 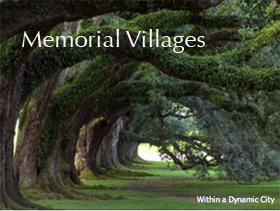 Memorial Villages are located in beautiful West Houston. In the 1950 and 1960s, Houston was experiencing a period of suburban growth as the city expanded beyond the traditional area inside the Interstate 610 loop. After the construction of Interstate 10 through the city in 1968, the area where Memorial now resides became favorable to developers. For the next four decades, the area continued to prosper. High class development in the Memorial Villages between Beltway 8 and Interstate 610 made the area a hotspot to live. Residents of the area were gifted with great foresight. In the 1950s, fearing annexation by the City of Houston and motivated by a desire for residential zoning, they joined together to create six independent villages: Hunters Creek, Piney Point, Hedwig, Bunker Hill, Spring Valley, and Hilshire Village. Referred to collectively as the Villages, the area is famous for its distinctive country-estate atmosphere and ranks as one of the most desirable places to live in Texas. The affluent population of the Villages prompts comparisons with one of Houston’s other upscale neighborhoods, River Oaks. Both neighborhoods are home to Houston’s business leaders and boast some of the highest median household income in the country. The differences are pronounced, however; Villages houses are often much larger and occupy enormous lots, many of an acre or more. Lot prices begin in the upper $500,000s and home prices range from the $700,00s for older structures to upwards of $6 million for more recent homes on large lots. 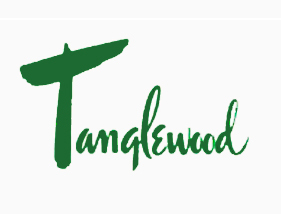 Tanglewood was rural farmland with newly planted oak trees, when it was conceived by the William G. Farrington Company in the 1940s (named after the Nathaniel Hawthorne book Tanglewood Tales). With a total of 750 acres, Farrington developed a residential area that would inspire the growth of what is now known as the Galleria District. Tanglewood is recognized as one of Houston’s finest neighborhoods and most beautiful wooded areas. Many of the original 1950s and ’60s ranch-style homes are being replaced by new custom homes, large reconstructed homes and homes of “estate stature” are becoming increasingly popular. There are about 1,200 single-family homes in all, located in 11 subdivisions. The lot sizes range from approximately 8,000 square feet to two-plus acres, and prices from approximately $300,000 to $2 million. Buyers flock to this charming community that is conveniently located outside of the 610 Loop and inside Beltway 8, yet removed from the commotion of the city. It was the residence of former President of the United States George H. W. Bush. Tres Lagos is the new gated custom build lake community 5 minutes from the Exxon campus. Oversized lots nestled in between three lakes located in McKenzie Park, zoned in the prestigious Klein ISD. Matt Powers is a selected and coveted builder and has lake view and premium lots available to build your dream home.